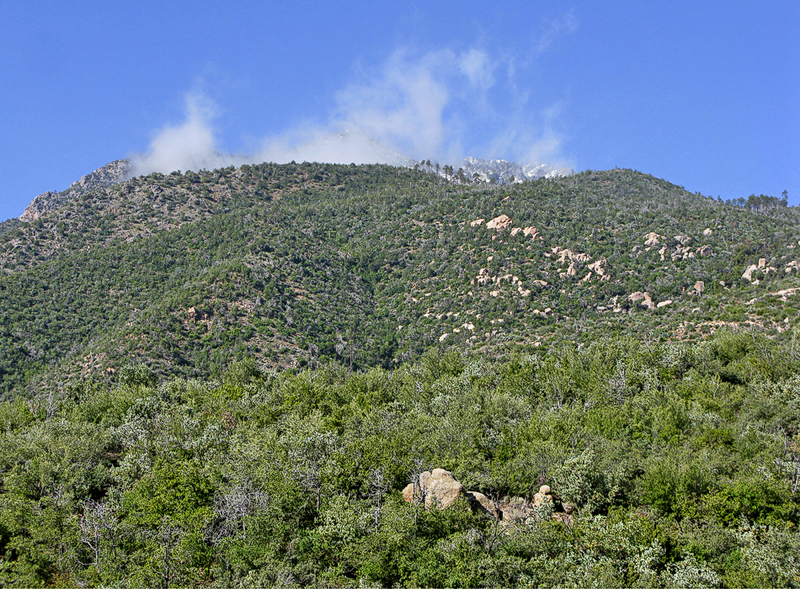 A quick hike from the Oak Flat Trailhead (3650 ft) to the northern section of the Four Peaks Trail #130 (5400 ft). 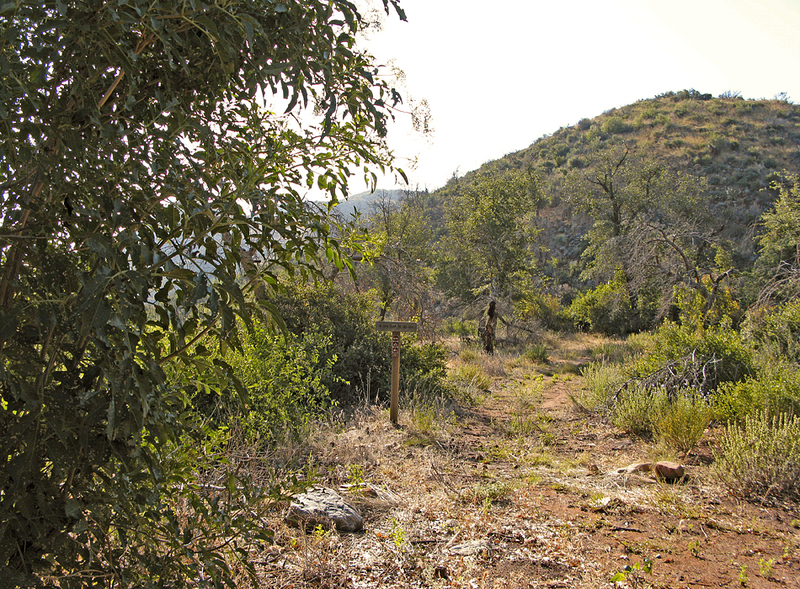 This hike takes off from the Oak Flat Trailhead in typical mid-zone vegetation. Distant views of the Four Peaks lure you in. Cairns help direct you across a ravine and onto the show. Enjoy the first short level section as once you start ascending it's game on. The area was damaged by the 1996 Lone Fire. Talking with a local at the trailhead I learned the trail was impassible after the fire. My pre-trip attempts to find out the trail status from the forest service turned out to be a joke. They're poor organizational skills have proven useless to the public. Luckily as of this writing twelve years later there's little sign of the fire. The trail is free of any debris and plenty wide. The footing is pretty good most of the way up. 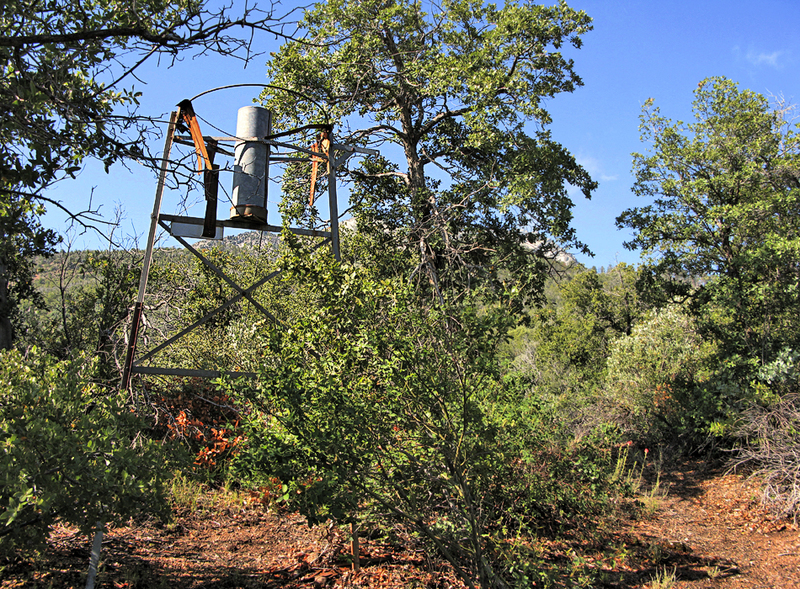 Although surrounded by low chaparral it's mostly exposed due to the lack of tall trees. Many trees did survive the fire just not enough to canopy the trail. On route you pass a water gauge. Continuing up you'll swear it's getting steeper. In reality it holds a relatively steady grade, it's just happens to be unforgiving. 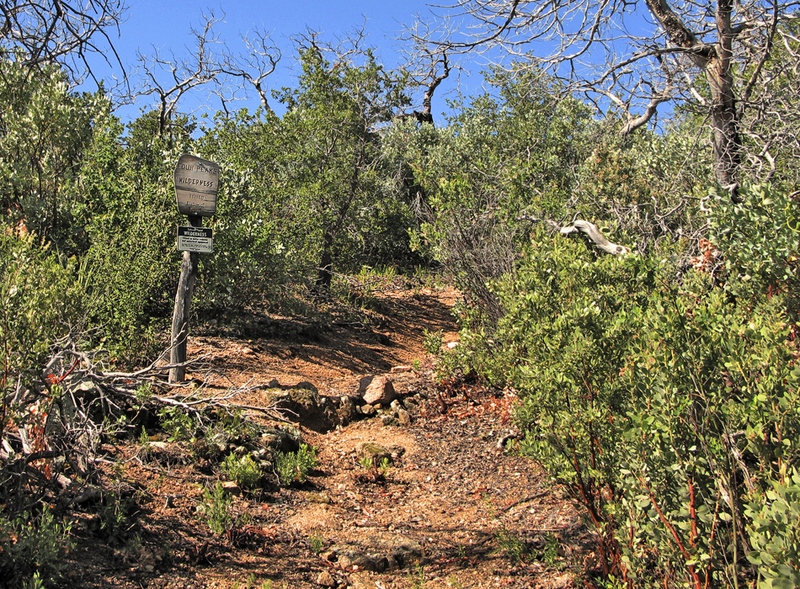 Minutes before reaching the upper end you enter the Four Peaks Wilderness marked by a small wilderness sign. This is an old trail that lacks the use of switchbacks. 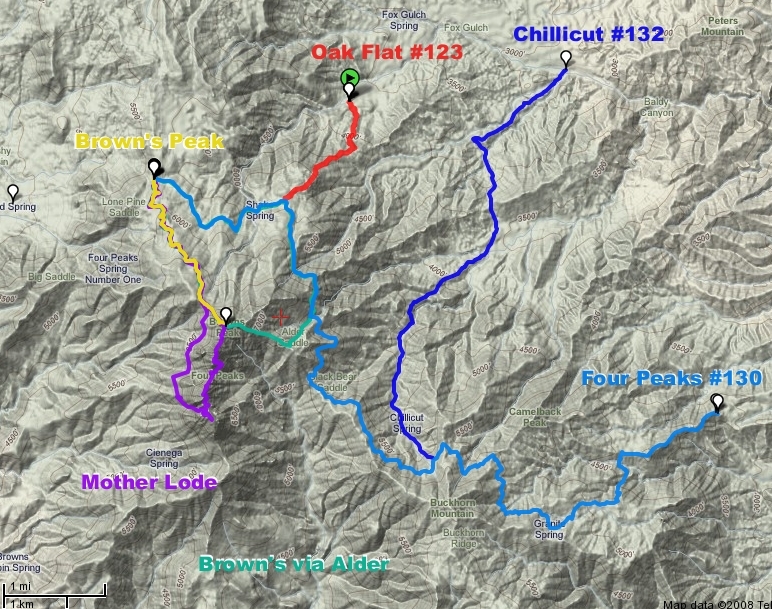 Albeit a nice trail I don't see much use other than a loop or shuttle hike with the Chillicut Trail #132. Backpackers would be better off driving up to Lone Pine Saddle than enduring this steep ascent into the wilderness. From the junction of SR 87 & SR 188 head south on SR 188 24.6mi. Turn right onto FR445 (may be called 3 Bar Road). Follow 3.1 miles to junction. 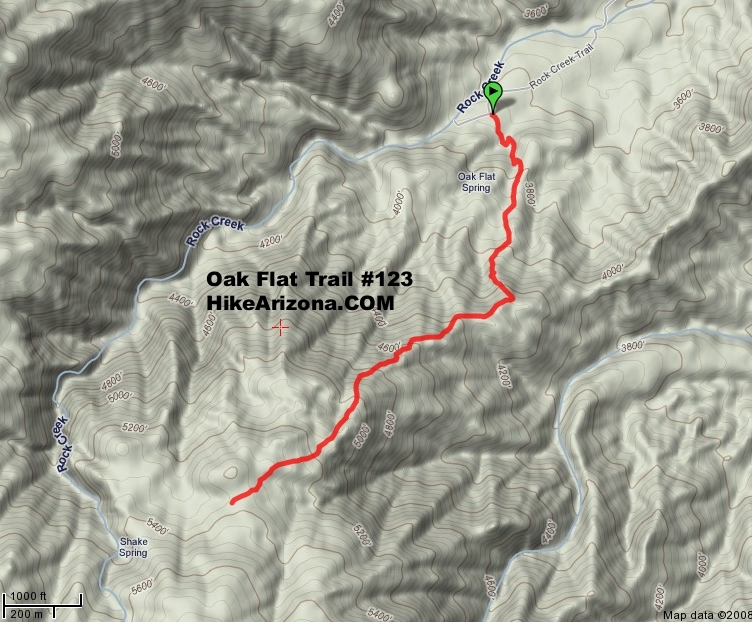 Turn right and follow 2.7mi to trailhead.